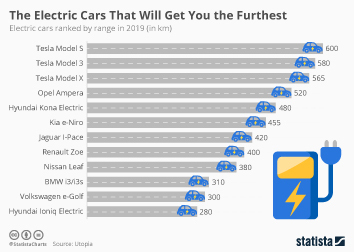 Who Leads the Charge Towards Electric Mobility? 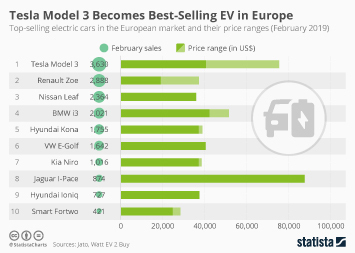 When the Geneva International Motor Show opens its gates on March 7, many of the world’s largest car manufacturers will present their latest designs and concepts to the general public for the first time. 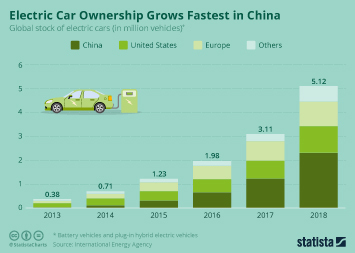 In the aftermath of the diesel emissions scandal that saw several major car makers manipulate emissions test results, electric mobility will certainly play a major role at this year’s show once again, as the industry strives to demonstrate its commitment to a cleaner future. 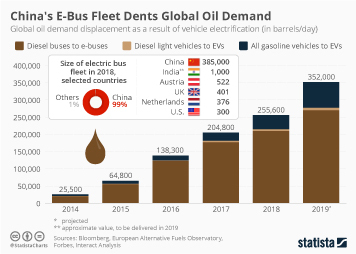 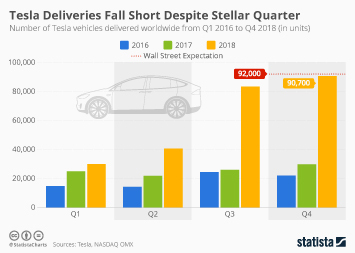 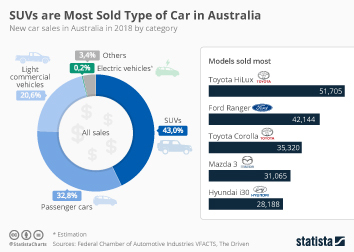 As the following chart illustrates, electric vehicles for the mass market are still very much the future though, while the present still belongs to fuel combustion engines. 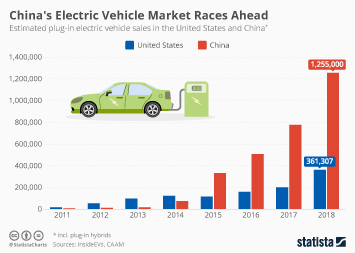 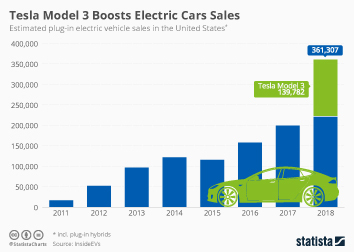 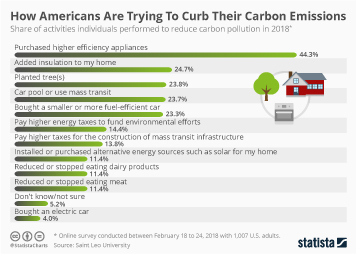 According to data collected from car manufacturers’ associations and other industry groups, the share of plug-in electric vehicles in all passenger car registrations was in the low single digits in every of the world’s five largest passenger car markets in 2018. 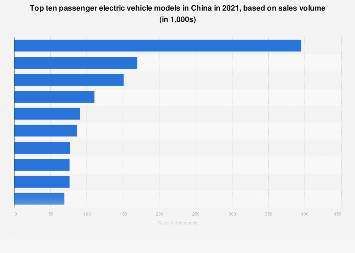 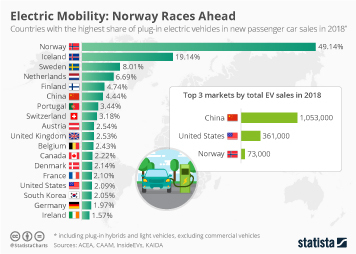 While China is by far the largest market for electric passenger cars in terms of unit sales, no country comes even close to Norway in terms of electric vehicle market share. 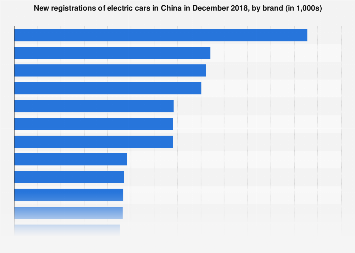 In 2018, every second newly registered car in Norway was battery-driven – a share that seems unthinkable in most other markets for now. 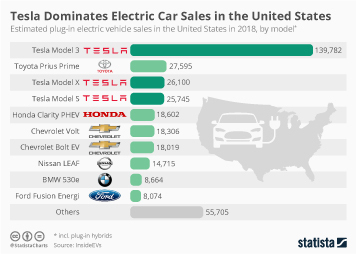 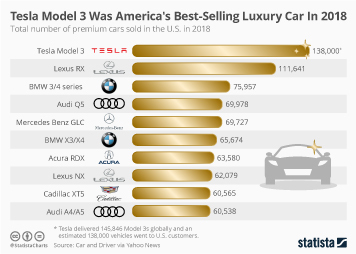 This chart ranks the six largest markets in terms of electric passenger car sales in 2018.